Murad Alam, MD « Cosmetic Surgery Forum – Practical. Honest. Insightful. Dr. Murad Alam is Chief of the Section of Cutaneous and Aesthetic Surgery, and Professor of Dermatology, Otolaryngology, and Surgery, in the Department of Dermatology at Northwestern University in Chicago. He received his undergraduate and medical degrees at Yale University, and completed dermatology residency at Columbia University. Dr. Alam completed his fellowship training in laser and cosmetic surgery in Boston and in Mohs micrographic surgery in Houston. His clinical practice includes laser and cosmetic procedures, as well as skin cancer surgery. Dr. Alam’s research is on the effectiveness, side effects, and costs of different laser and surgical treatments. He is a member of the editorial boards of Archives of Dermatology, Dermatologic Surgery, Journal of Cosmetic Dermatology, Skin Therapy Letter, Lasers in Medical Science, and Dermatology Journal Watch. 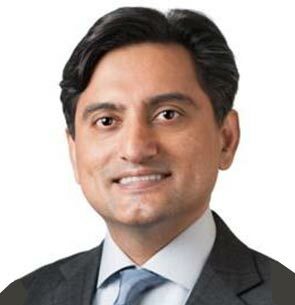 Dr. Alam is the author of more than 150 scholarly publications and has edited 20 books, including Non-surgical Skin Tightening and Lifting, Treatment of Leg Veins, Requisites in Cosmetic Dermatology, Cosmetic Procedures in Skin of Color, Body Rejuvenation, and Evidence-Based Procedural Dermatology, and Merkel Cell Carcinoma. Currently, he is Secretary of the American Society for Dermatologic Surgery; a member of the Boards of Directors of the American College of Mohs Surgery and the American Society for Laser Medicine and Surgery; an Advisor to the AMA-CPT Panel; a member of the Nonmelanoma Skin Cancer Panel of the National Comprehensive Cancer Network; and a Voting Member of the General and Plastic Surgery Devices Panel for the U.S. Food and Drug Administration.